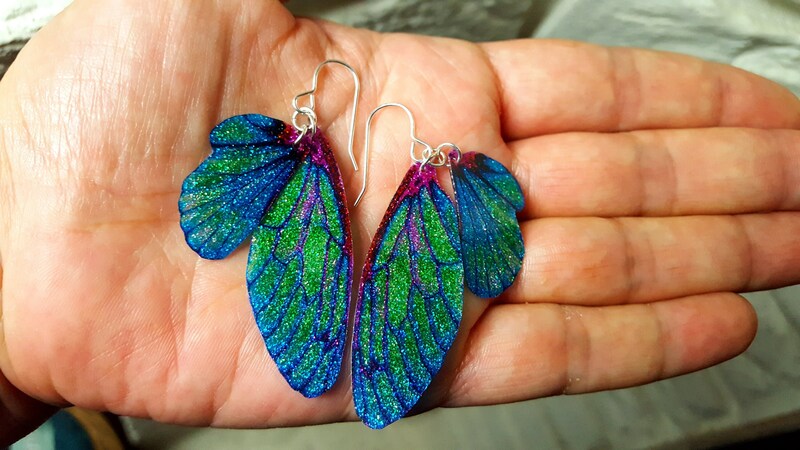 Sparkle Fairy Wing Earrings. 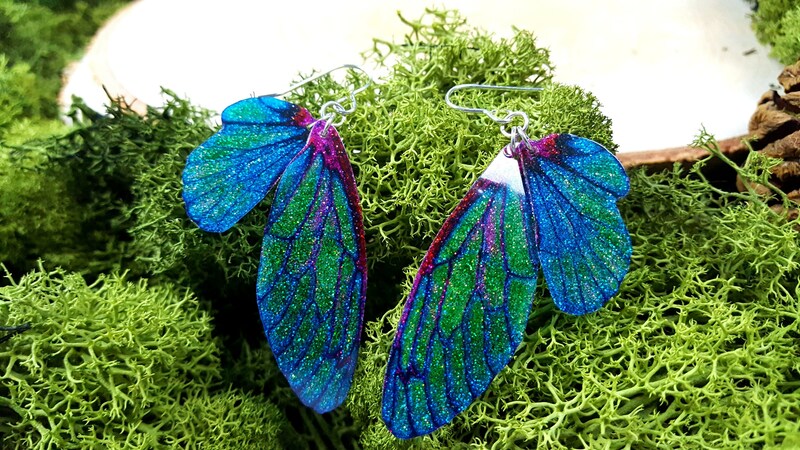 Blue/Green iridescent glitter sparkle faerie wings on sterling silver ear wires. 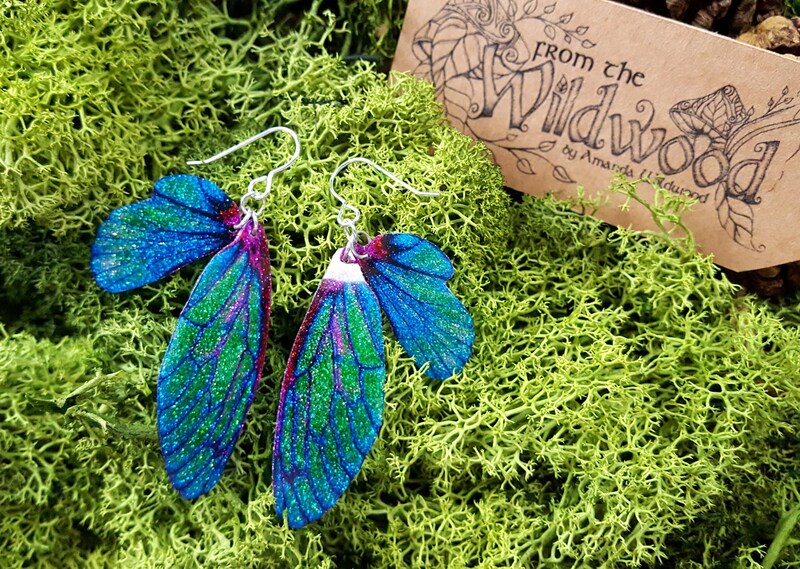 Here are my new sparkle style Faerie wing earrings! 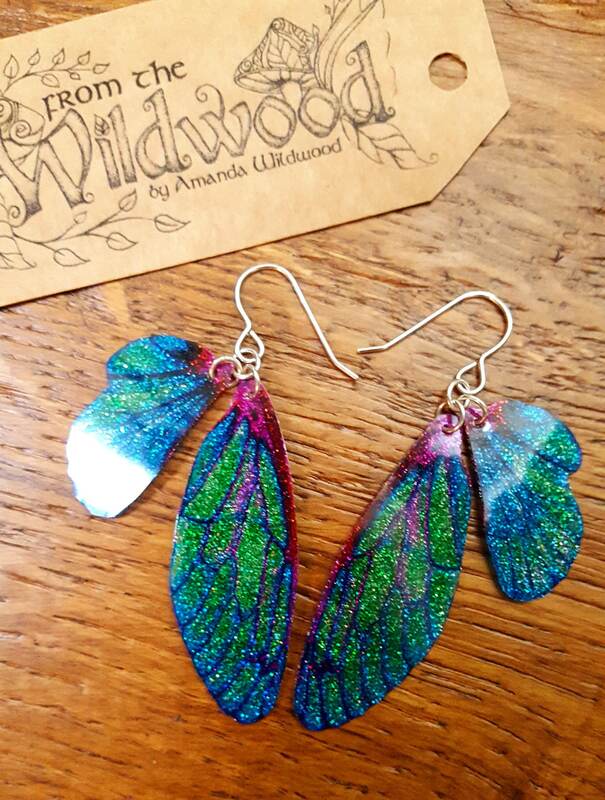 The wings have a magical internal iridescent glittery sparkle which is very difficult to show in photographs. 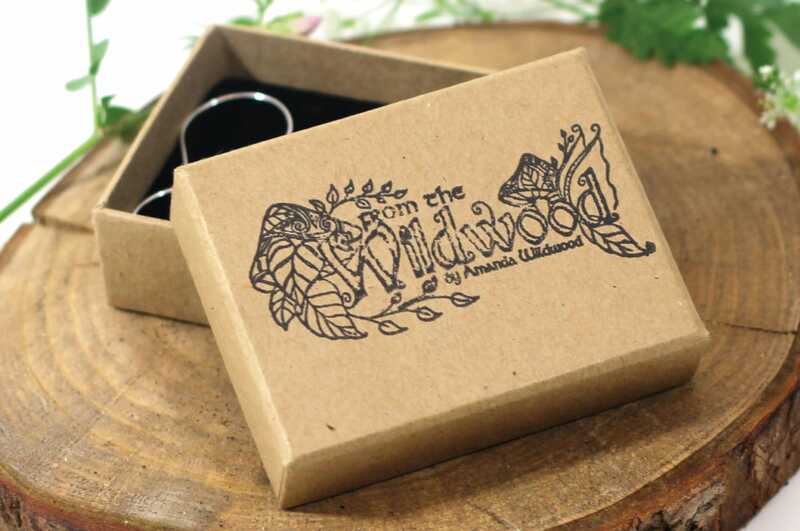 They are lightweight and suitable for daytime or evening wear or whenever you need to feel extra magical. 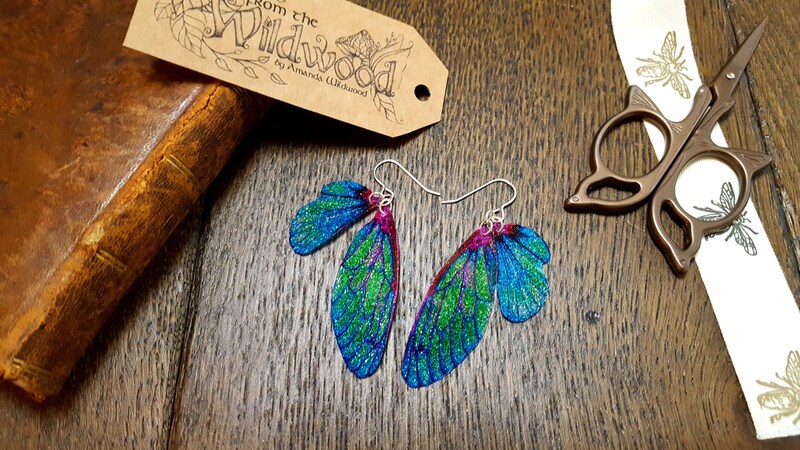 These beautiful delicate looking faerie wings are lovingly made from up to 7 micro-thin layers of magic and sparkly stuff and the ear wires and findings are made from 925 sterling silver. 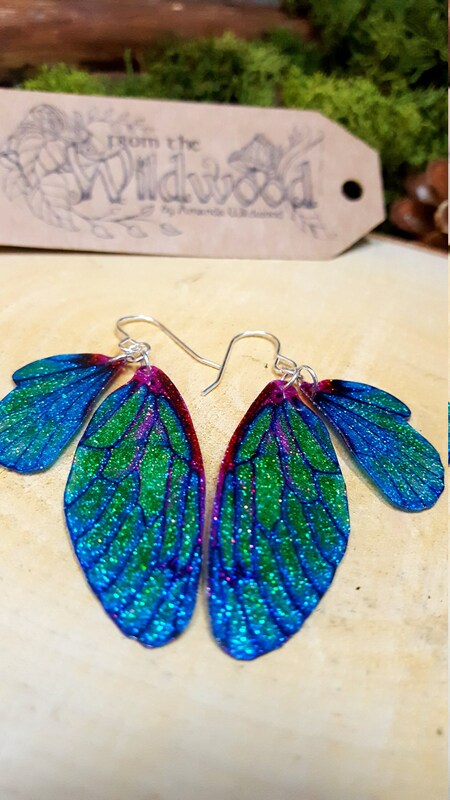 The wings have a truly magical quality and the internal iridescent glittery sparkle seems to change colour in different lights. I have spent 4 years of experimentation and trial and error to make the best and most magical wings that I possibly can. 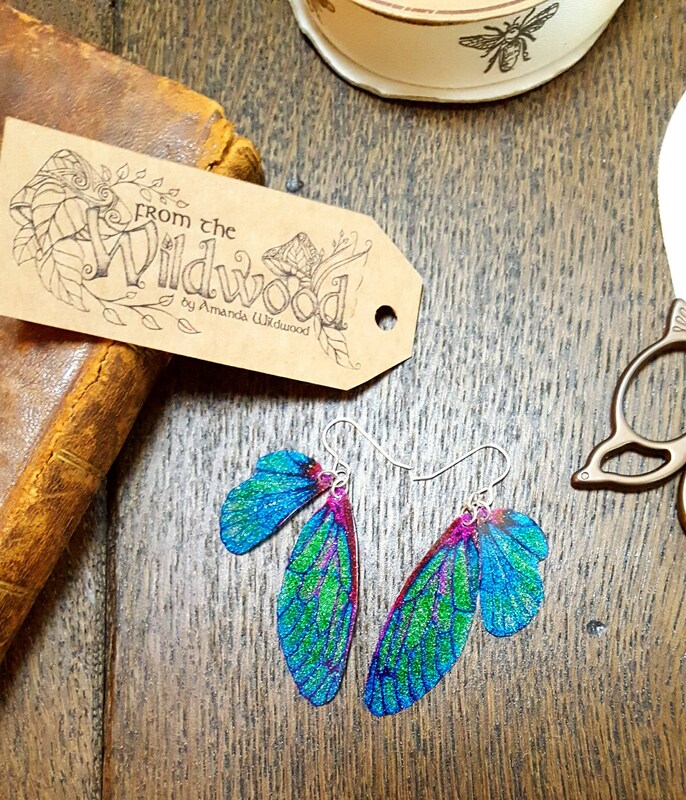 The earrings have an average 6.5cm drop in the ear. Each earring has 2 wings. The largest wing is an average size of 5cm x 1.5cm and the smallest wing is an average size of 3cm x 1.5cm. 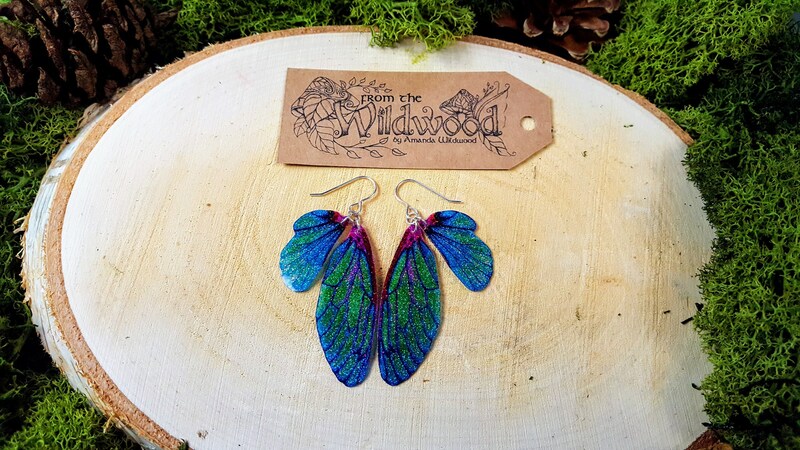 Every pair of wings are handmade and unique. Colours and shape may vary slightly. To keep your wings looking beautiful, store them out of direct sunlight. Treat them like pearls. Do not spray with perfume, hairspray or bug spray as this could potentially damage them. Like pearls put them on after you have applied any makeup, creams or sunscreens. Remove your fairy wing jewellery first before you remove your make up and go to bed. Do not shower or bathe while wearing your jewellery and avoid getting wet. 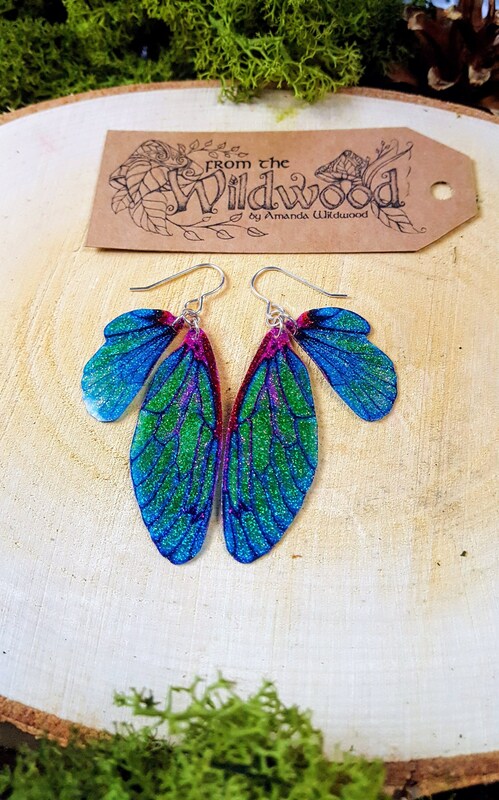 If you do get your faerie wing jewellery wet, dry immediately. Do not bend the wings. Clean wings by gently wiping with a soft cloth. To remove natural tarnishing on metal or silver use a jewellery polishing cloth to clean.